The interfaculty Programme in Music Pedagogy was first launched on 14th February 1992. 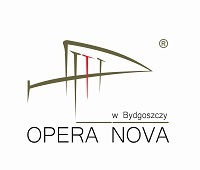 Its chief objective is to train music students in teaching, thereby equipping them with the necessary qualifications to start teaching careers in Polish schools pursuant to the Ordinance of the Minister of National Education and Sport of 7th September 2004 on national teacher training standards. The Programme is intended for students of the Faculty of Composition, Theory of Music and Sound Engineering, the Faculty of Instrumental Music, and the Faculty of Vocal Music and Drama. The Programme is done by the students along with their chosen principal-study programme and comprises courses in psychology, music pedagogy, and music teaching methodology (for students of Composition, Theory of Music and Sound Engineering) or musical literature methodology (for students of Instrumental and Vocal Music). Teaching practice is offered by regional music schools. Courses taught as part of the Programme are elective and students may find them in their curricula. Upon completing the Programme students receive a certificate of teaching qualifications.